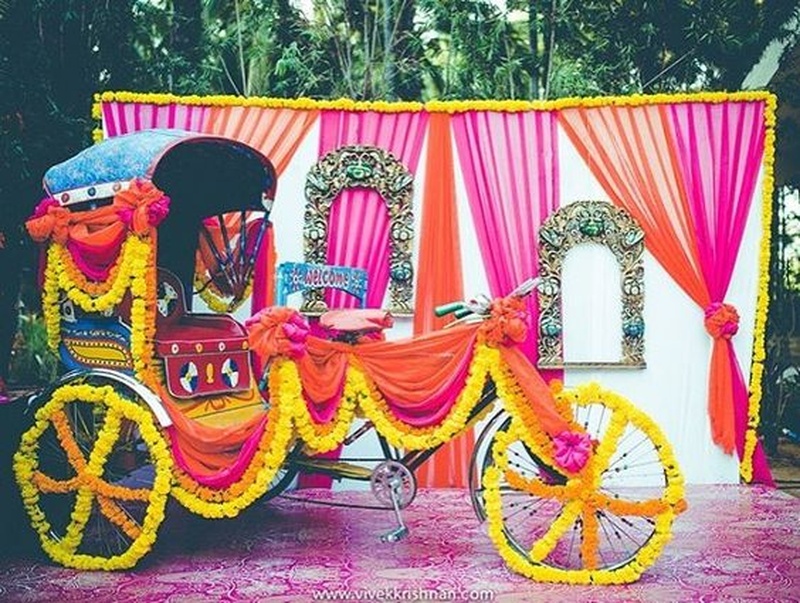 5 Wedding Decorators in Ahmedabad Who Can Wow You with Their Design Ideas! Weddings in Ahmedabad can range from being an intimate one to pretty lavish ones. However, one thing that is indispensable is the wedding decor (okay Bridezillas, apart from your bridal attire). After all, gorgeous wedding decor will ensure stunning photographs that you flaunt for the days to come ;) In a time when Indian wedding decorators are going overboard with both quirky and majestic wedding decorations, it is important to stay abreast of trends. While you may have heard of many wedding decorators in Ahmedabad, we are sure our list of top five decorators in Ahmedabad is a secret well-kept! Scroll through these creative decorators’ list and you will be amazed by their sheer amount of talent and creativity. With these decorators and their unique wedding decor ideas, you are sure to stun your wedding guests with a visual treat of a venue! If pictures could indeed speak a thousand words, IBS’ pictures would tell you a story, more like a fairytale, about their wedding decorations. From destination weddings to intimate ones – they have it all covered. They can do a simple yet attractive daytime wedding decor and they can also make your venue come alive with bright colours and thousands of decorative lights. With an assortment of decor ideas, IBS Decorators are clearly one of the most sought after wedding decorators in Ahmedabad. From table arrangements to floral designs – Jessica Decorators can take care of it all! They put together flowers and decorative lights beautifully which make for gorgeous entryways and gates. They can also make stunning gateways to your mandaps with flowers and other accessories. If you have an outdoor wedding, Jessica decorators can set up tables for the buffet. If you are planning a wedding in Ahmedabad, you must check out Hetharth Decorators. Hailed as one the best decorators in Ahmedabad, the passionate decorators can set up mandap decorations, entryways, stage and other essentials. Whether you have your event during the day or night, whether it’s a outdoor or indoor event – these talented decorators can make every event special. If you are planning a destination wedding in Ahmedabad, you must check out Om Flower Decorations, who can transform your venue into a magical one. They use all sort of accessories – flowers, drapes, chandeliers and more – to set up the space and the end result is always a tremendous one. You can also customize the venue decor and mandap decorations to suit the theme or idea that you have in mind. As the name indicates, Stan Events, one of the leading decorators in Ahmedabad, can take care of your event and make sure that it is a successful one. The passionate team can plan and execute the wedding decor. You can also let them know about your theme and they will customize the space as per your preferred colours and accessories.